This post, Reading Through Russia, Southeast Asia, Vietnam, and India, was written for Sonlight Curriculum. When it comes to homeschooling and and life in general, it feels good to keep your head above water. Nevertheless, you sometimes reach a point where you start treading water and can only lift your head out for a quick breath before tackling the next wave, but you don't get a full life-giving breath of fresh air. 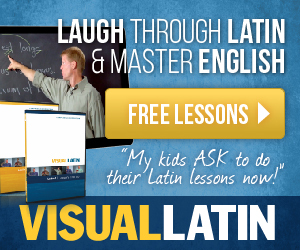 This winter, I was desperate to breathe new life into my homeschool, but instead of slowing down, we got productive. Winter has always been my favorite time to hunker down with blankets and bust out school while it's bitter cold out, and my husband is doubling up on his school to get a Bachelors in one year, so I couldn't see a better time to not only work on getting caught up, but work on getting ahead, too. So we doubled up on our school, too, and it has been a breath of fresh air to feel caught up. We doubled up to catch up without missing a thing, however if you are feeling behind, it's okay if you don't do everything. With Sonlight’s “real” books approach your children will assuredly come back to read these stories to themselves, for years to come — I learned this when we first came back to Sonlight after wandering in the desert of homeschool curriculum desperate for an oasis. Importantly, this is true for my kids. Malachi, almost 13, has re-read most of the books from Sonlight Levels A, B, and C, sometimes more than once. It started one day when he wanted a new book, and the public library was closed. "Go grab a book off the shelf," I hollered above the hullaballoo of trying to get out the door for a day trip. Since then, he "checks out" books from our homeschool library on a regular basis on top of Literature F.
While they contain unusual customs, cultures, and religions that are strange to us — even shocking at times, there is beauty and wisdom in these stories. 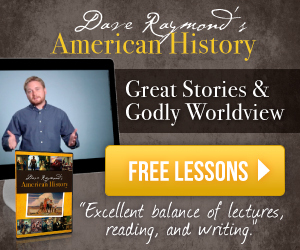 So, while we could skip some, I don't want to miss anything God may want to teach us through these books. Travel tip: Remember, don’t try to do everything. Sonlight has included many, many ideas to give you lots of flexibility, but you will be overwhelmed if you try to do everything. To be clear, I, personally, did not do everything, and I couldn't have done any of this without my husband's help and support, nor without the kid's buy-in. I missed some books that I hope to read later, but my kids did not miss anything because my husband read to the kids everyday at lunch to help us get caught up. However, when I did Level F with Dylan, my student who does not love to read, we skipped a lot of books — books I don't want to miss a second time! We had a rough go late fall heading into winter, so when we started Week 10 in late November, I was feeling behind. While we typically school year round, we need to stick to our scheduled plan this year to be done in time for a move, so I wanted to catch up and get ahead quick. To double up, my husband and I did 4 weeks in 2. Starting in Week 10, we began our studies in Russia. I had my husband read I Rode a Horse of Milk White Jade, scheduled out over Weeks 10, 11, and 12, and Whatever Happened to Penny Candy, scheduled out over Weeks 12 and 13. While he read that, and the kids worked on their Eastern Hemisphere Notebook assignements independently, I read Breaking Stalin's Nose, scheduled in Week 13. Thus, we did 4 weeks of school in two weeks. Breaking Stalin's Nose because it brought communism alive in a way that kept us on the edge of our seats. It's set in Moscow during the days of the U.S.S.R. under Stalin's rule. Whatever Happened to Penny Candy because it was interesting and relevant to our study of socialism verses capitalism. Choose Your Russian Adventure: We had a film appreciation night and watched Mulan and Sleeping Beauty, which was the first time our kids had seen either movie. Travel tip: Don’t forget about adding Electives here and there! 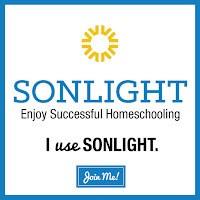 Sonlight does not schedule electives so you can add them in where and when it works best for you. Consider adding in an art project or study a Russian artist. I have been wanting to do an art project, so we painted Matryoshka dolls. 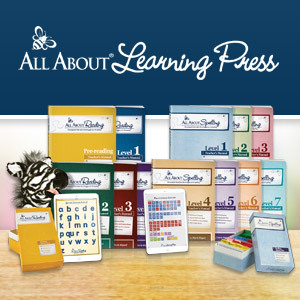 Travel Tip: Be sure to read the notes in the instructor guides for the read-alouds and readers. The notes give you detailed information about the book, it's setting, historical significance, important vocabulary words, and also discussion questions. Some books have graphic details that may not be appropriate for sensitive children or little ears that may be listening in, so you will want to make sure to read the notes for each book. Just So Stories — this collection of stories by Rudyard Kipling tell how the world came to be — how the leopard got its spots, how the camel got its hump, etc. (I explained that cultures make up stories to explain how animals came to be, but we believe God created the world and everything in it.) The kids said the stories were fun to read. 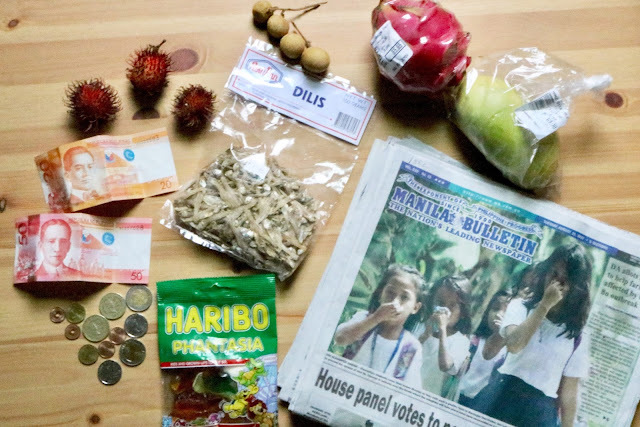 My husband's good friend, who made a trip to the Philippines to meet his future bride, gave us a few souvenirs for our "Filipino market." And when I asked one of my Filipino friends what we should make for a Southeast Asian dish, she said, "Make noodles. We love noodles." We do too, so we made Lo mein noodles with veggies and chicken. One downside to this method of doubling up is the fact that the kids don't get a break from notebooking when a History read aloud is scheduled. So, right after two weeks of notebooking through Russia, my husband read The Land I Lost while the kids started their notebooking pages for their two week jaunt through Southeast Asia — Weeks 14 and 15. In this case, I gave the kids a week break from their writing class. Students on the younger end of the age range for Level F will not be able to keep up this pace if they are not voracious readers. I highly recommend you skip a book in that case, and let them read it over summer vacation. The ability to double up in HBL F is possible because of the natural breaks in notebooking. Notebooking in the Eastern Hemisphere Notebook naturally slow us down, but it also teaches my kids how to find and use reference material. It is both challenging and flexible because there really is no right or wrong answer. They simply write down what interests them. Recently, we learned that it's okay to write in our books! We listened to a lecture on how to read a book and the talk could be summed up in four words: write in your book. The kids were shocked because of course they were taught to not write in books to keep them nice, but I write in my books all the time. It's how I learn. My husband had a little harder time with this than I did. He agreed it would be beneficial but preferred them to highlight words, sentences, or passages with a highlighter, rather than using light pencil marks which is my preference. See more how I encourage independent learning while notebooking through History F.
Our favorites books: Daughter of the Mountains and Rickshaw Girl. We felt so good about doubling up in Russia that when we got to India, my husband and I tagged team our time with terrific success to knock out six weeks in three. Starting in Week 16, I read Rickshaw Girl as scheduled. In Week 17, Malachi read Theresa of Calcutta, a read-aloud. My purpose for having Malachi read a read-aloud was two fold. First, he took one for the team so "we" wouldn't have to miss a book. Second, he's a voracious reader, and I like the practice of having him read aloud. Also in Week 17, my husband started reading William Carey: Obliged to Go, while I started reading Daughter of the Mountains — both scheduled in Weeks 19 - 21. So by the time the kids finished their notebooking for India, we had completed 6 weeks of school in 3. Note from the trenches: I often listen when my husband reads aloud to the kids, but I sometimes miss a chapter. That's okay because I enjoy the quiet time and my kids give me full narrations of what I miss! I don't often require a narration when I read to them because they are exceptional listeners and do well on the discussion questions, so it's fun to see them give an oral narration now and then. For our adventure for India, we made South Indian Lemon Pickles. Made with 16 lemons, 3 T sea salt, 1 t. cayenne pepper, 1 t. roasted fenugreek seed powder, 1 t. turmeric powder, and 2 T raw coconut sugar, these mouth puckering pickles are digestive enhancing pickles from India. They stimulate the saliva and gets those digestive juices flowing. To make, wash and rinse lemons and cut into 8 wedges. Mix lemons with salt, spices, and sugar, toss to coat, and place in two 1/2 gallon jars leaving extra room in the jar for turning the lemons daily, and place a loose fitting lid or cheesecloth on top secured with a rubberband. (Use two quart jars if halving the recipe). Set them in a sunny window to ferment, daily turn jar to mix spices, and they will be ready in 2 weeks. To eat, you cut one wedge into four pieces and eat 1 - 2 pieces per meal. These get better as they age and keep forever. We may have raced through India to set a new reading record in our homeschool, but I will be making some of the recipes I found because there are so many I want to make. My goal this year was simply to use Sonlight as is because Sonlight HBL is certainly enough with it's real books approach. When you read these books, you can't help but be changed in some way. The stories affect you that way. I've already added chana dal to my shopping list, I just bought cardamon to make Indian Spiced Hot Chocolate, and I'm learning to chew my words seven times before I let them out. . . but that's a story for another time. These types of posts always have me thinking deeply over next year's curricula choices. I haven't thought too much yet, but I know that I want it to be a year filled with fun with it being E's last year before stepping into high school. I cannot believe how fast childhood just speeds away. Oops I clicked before finishing! I love the application of food with the reading. A way to a memorable learning moment can be shared through a meal.